Every year, LA boasts its own popular culture convention, dubbed PopConn LA, held at the Los Angeles Convertion Center. This year’s event ran from July 5-8th in conjunction with the 7th Annual International Television Festival (ITVfest). The three day weekend was filled with fashion shows, live bands, comedians, screenings, and industry panels and brought in thousands of people from around the globe. Think the prequel to Comic Con which hits San Deigo next weekend! PopCon known for “all things pop culture” and ITVfest known for independently produced content- from web series, to pilots, to digital features- is an exciting opportunity for iconic Hollywood to meet emerging new media. Some of the more popular items on the weekend’s itinerary included a screening of Superman II with a Q & A featuring Margot Kidder, Jack O’Halloran, and Valerie Perrine and a screening of Bladerunner with a Q & A featuring Sean Young, James Hong and Joanna Cassidy. The Tim Russ (Star Trek:Voyager) Band rocked the crowd on Friday night and celebrities were on hand to greet fans and sign autographs including Billy Dee (Star Wars), Bruce Broxlietner and Cindy Morgan (Tron), Stephanie Erb (True Blood), Richard Hatch (Battlestar Gallactica) and Bai Ling (The Crow). The weekend also included a Maquerade Ball, among a myriad of parties, and an awards show hosted by Corey Feldman. Fans could also take photos with iconic pop culture symbols including vehicles like The Delorean from Back to the Future or K.I.T.T. from Knight Rider, not to mention the early model Batmobile! 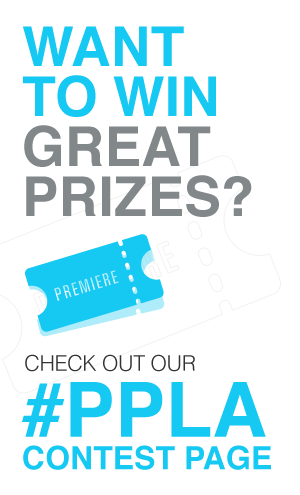 Check out the PPLA photo gallery!